Preliminary round on 27th June. Top scorers will be invited to the Special Round on 24th July 2018. Click here for more details. Registration period is from 1st March 2018 to 30th April 2018. Do register for the competition early at this page. *2 registered pupils to open P4 class, kindly register for training class ASAP. *2 registered pupils to open P5 class, kindly register for training class ASAP. Working on mock papers will also give pupils more exposure to the topics and questions most relevant to the competition. We continue our intensive training to help P4 and P5 pupils in their preparation for the coming NMOS competition. Knowledge, understanding and skills will be built up through active teaching and learning in class. Enquiries? Feel free to send an email to admin@matharena.com.sg or WhatsApp text to 8121 6628. This intensive course will cover key objectives and principles of topics specific to redox reactions and basic organic chemistry, building a proper foundation in analyzing structured open-ended questions of Cambridge ‘O’ level standard (Pure Chemistry Syllabus 6092). Commonly tested concepts will be explained and elaborated in questions given to students. This intensive course is designed to help pupils to build a strong foundation in upper secondary chemistry. Commonly tested concepts will be explained and elaborated in questions given to students. Happy Chinese New Year 狗年旺旺! Math Arena will be resuming lessons from next Thursday, 22 Feb 2018 onwards. 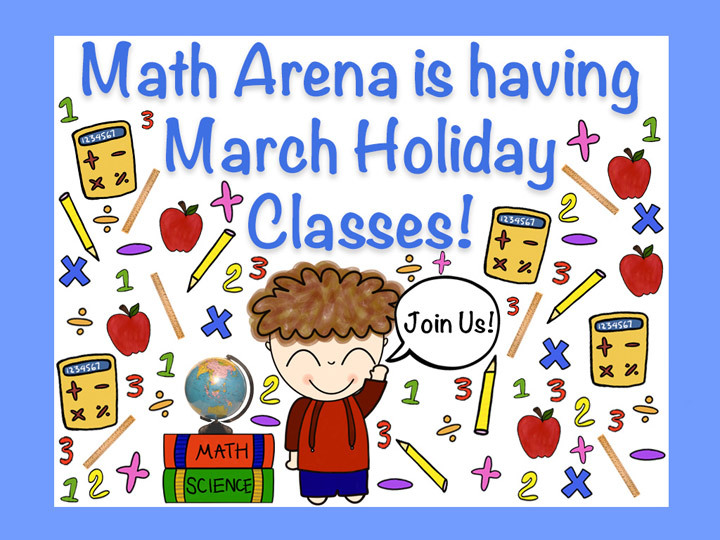 There is no lesson from 15 to 21 Feb (Thu to Wed) as Math Arena will be closed. Enquiries? WhatsApp text to us at 8121 6628, or email to us admin@matharena.com.sg.